An advanced test and some additional post-test training with a Diamond trainer can help anyone with an interest in riding. Any member of the general public is welcome to take extra training. A Diamond test may be beneficial for the commute to and from work, safety reasons or gaining confidence before returning after an illness, accident or a long gap in riding. You may wish to improve your riding after passing your bike test, or have a keen interest in riding and are looking to improve your own skills in a training environment. If you decide to take the advanced test this will cover motorway and dual carriageway riding, which will help you gain confidence on these types of roads whilst refreshing your skills and knowledge. (Book here). Companies who use riders to help promote and assist in the day to day running of their business i.e. food delivery and courier companies, can reduce their long term fuel costs, insurance and accident loses/no claims. Riders are better trained and able to cope with busy and complex road networks and requirements associated with multi drop deliveries. Working with a trainer to achieve an advanced test can help reduce weaknesses often highlighted through training, which in turn can be fed back to companies via our professional Diamond trainers. When you book your Diamond test, you will receive email confirmation of your booking. Your details will then be passed on to an examiner local to you, who will contact you within 2 working days to arrange a mutually convenient meeting place. The Diamond advance test lasts for 60 minutes and covers a variety of roads and where possible motorway and rural areas. You will be expected to carry out an emergency stop, figure of 8 and a slow riding exercise if asked to do so. A pass will be awarded if you achieve no serious or danagerous faults and you do not exceed 6 rider faults. Obvious benefits are safer and better riding skills. Diamond trainers focus on defensive and eco riding techniques, which in the long term means less accidents and loss of no claims benefits etc. Companies can expect to save money through a reduction in accidents and incidents as riders are safer and better equipped to cope with stressful situations and other road users. This in turn creates a more positive working environment and less time lost in work for sickness and stress. Having a Diamond advanced test certificate may give you substantial discounts on your insurance. Be sure to mention your advanced test pass to your insurance company to see if they can quote you an appropriate discount. Your Diamond certification is valid for 3 years. How does the Diamond training and examining system work? If you are looking to start with some Diamond training in the first instance our Diamond team will be happy to help you look for the right trainer or school in your area. You will be given a selection of trainers who you can contact to discuss your individual needs. Should you wish to take any of our Diamond tests you can our contact form or call the Diamond team on 020 8253 0120 and we will allocate an examiner to you based on your requirements. You may all have already been recommended a particular examiner by your trainer, in this instance we will of course be happy to discuss your individual requirements at the time of your booking. Our examiners have extensive training with the DIA in their area of expertise and adhere to the DIA Code of Conduct. All Diamond trainer and examiners are registered with the DVSA’s voluntary motorcyle scheme. 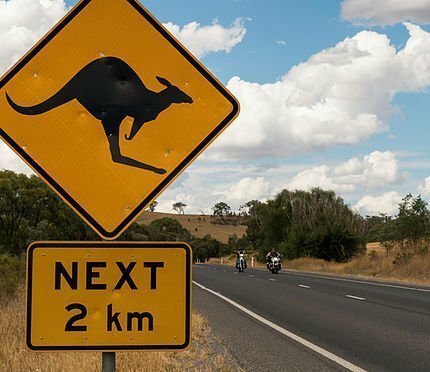 Having taken my Diamond advanced motorcyle test in the UK, I thought I’d give you a bit of an update on my advanced riding now that I’ve settled back down in Australia. The roads themselves are of a different nature here. Everything in urban areas is esentially American – wide, straight, flat, and a very low speed limit. Advanced riding is not really a thing here. There is plenty of track riding available and plenty of ‘power rangers’ imitating that behaviour on the road, but I’ve found that advanced riding is much more about the mental side of riding. Overall I’m still very glad I had the chance to take the training and bring it home with me. It has transformed my riding and has put a lot more control in to my hands. Being a commercial driver as well as an advanced rider has given me an increase in safety and has paid dividends across the board. Buy your test today and we will get you booked with an exaiminer in your area.